Contemporary design together with brilliance of slivery metal and crystals makes our Ava band ring a truly trendy accessory. The ring features three rings adorned with ornaments and clear crystal studs. 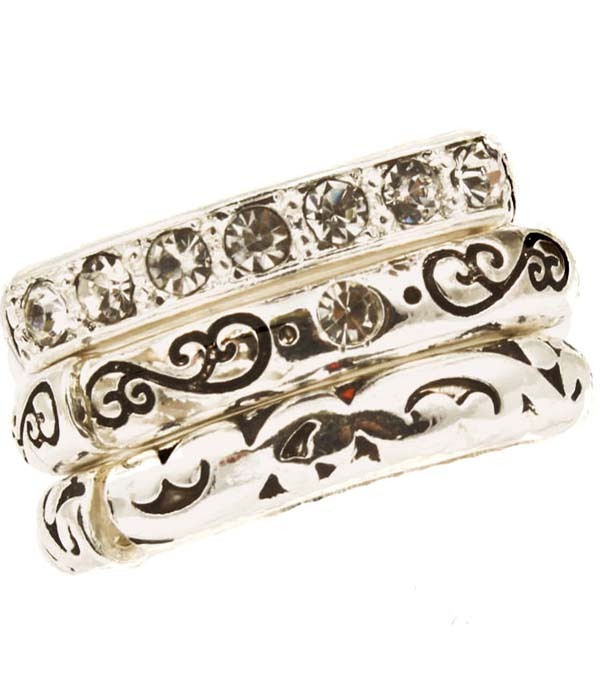 Our band rings are of the highest quality and come with a hassle free exchange policy.